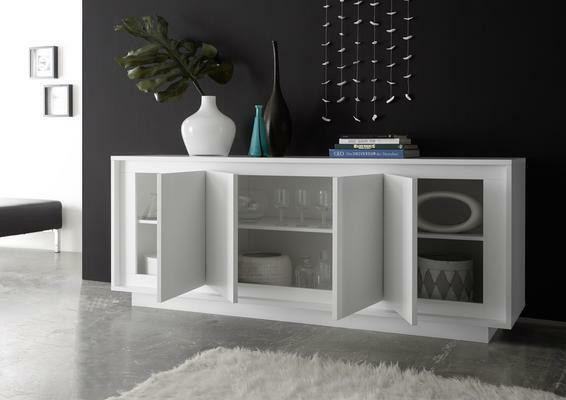 We are pleased to introduce the new LUNA Winter Collection Four Door Sideboard in Matt White finish. The Luna Sideboard has four doors, all featuring 'soft close' hinges and doors opening from the central points. 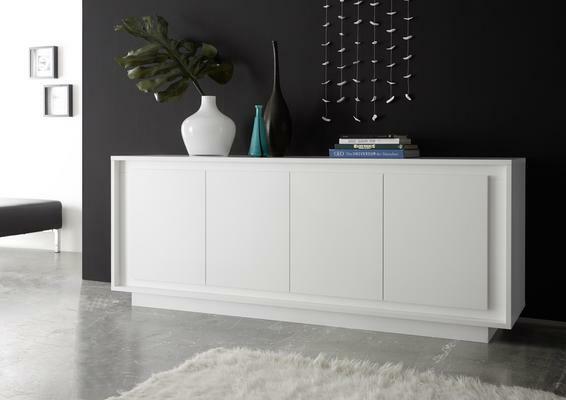 The recessed design of both the doors and base enhance this modern design sideboard. There is a central shelf in each compartment, also finished in matt white.